I just got back from Minneapolis after visiting SMG for an FUE procedure. I know my accounts can be slightly annoying to some people due to their length and their detail, and for this I apologize upfront. I also know however from the many email’s I receive saying thank you for my write ups, they do in fact help a lot of patients, particularly ones from the UK which is why I try to include as much information as I possibly can. On Sunday the 13th May 2013 approx. 18 months since my last procedure I flew out from Manchester Airport in the UK for an FUE procedure with Shapiro Medical Group. I had to use a different airline this time instead of KLM/DELTA called American Airlines, this was due to me unfortunately leaving my flight booking until the very last minute. American Airlines fly from terminal 3 at Manchester and their departure desks are situated right next to the British Airways ones so are very easy to find. The route I took was different this time too and I had a connecting flight in Chicago rather than Amsterdam. The American Airlines plane was comfortable and the staff were very friendly and approachable which was cool, but I will say I was a little disappointed at the lack of onboard entertainment provided and was so glad I took an android tablet with me to watch movies on. On any flight to the USA I would also advise you to take a pen onboard the flight because you usually need to fill in a small blue customs form when you are on the plane, or if not when you first land in the US. When I arrived in Chicago inside the customs/arrivals hall you are asked a few simple questions by security and have to have your finger prints scanned the same as Minneapolis, this process only takes a few minutes and is very easy and nothing at all to worry about so don’t panic. 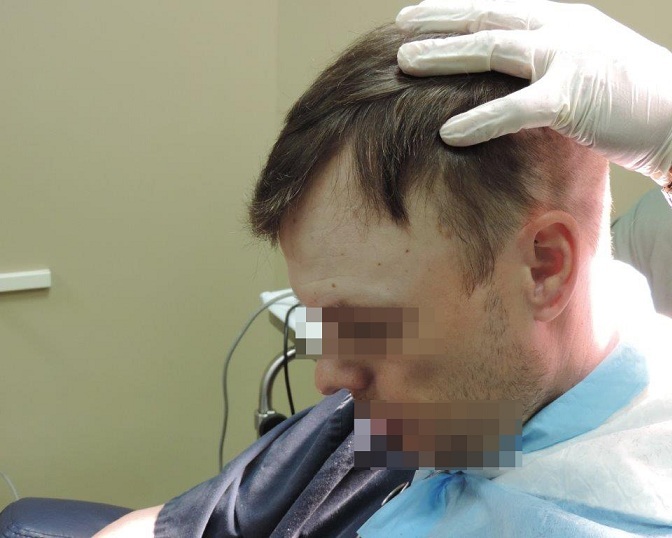 I found it was a little bizarre to be honest though this time as the customs guy was particularly interested when I told him I was coming to the US for a hair transplant. I could tell he wasn't being derogatory, annoying or making fun in any way though I think he was just a young guy with extensive hair loss himself and seemed genuinely interested. On passing the customs hall you then proceed to baggage claim and need to take your bag of the carousel and book it on to the next flight. This could not be any easier though because it happens right through the very next door. You then have to go up an escalator and catch a monorail train to terminal 3. The reason for this is because this is where all American Airlines departures are, and you need to go here in order to get your connecting flight to Minneapolis (sounds a little daunting but it's only two minutes away). The flight to MSP is only an Hour long so before you know it you are landing in Minneapolis. After collecting my baggage I then jumped on the free shuttle bus to La Quinta 5151 American Blvd. (again be careful here which bus you get on as there are two La Quinta hotels near each other). 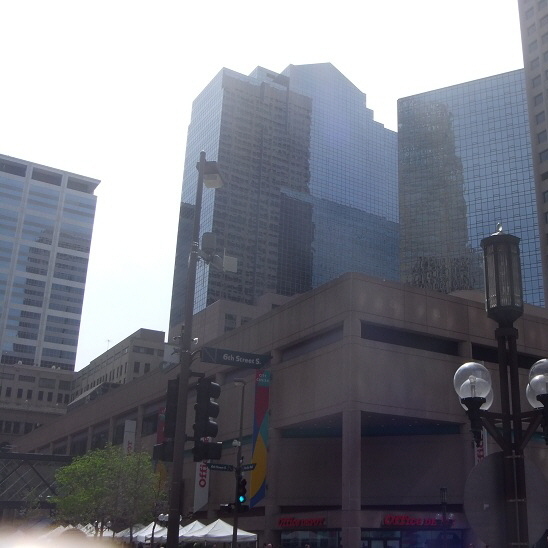 When I arrived in Minnesota I was blown away by just how hot it was. It was amazing I had arrived on an exceptionally warm day which was really great. Another piece of trivial advice I would recommend is to check the weather before you set off as you don't want to leave the UK wrapped up like an Eskimo and arrive looking a price turkey when its warm or vice a versa. 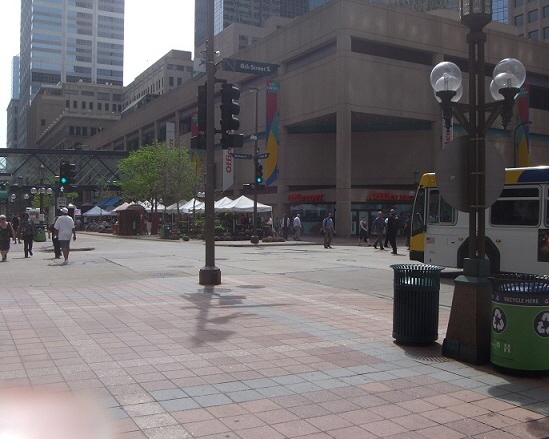 Minny was just how I remembered it and everybody was so warm and friendly it was almost like coming back home. I really do like the place and would wholeheartedly recommend it to anyone, simply because there’s so much to do and everyone is so unbelievably nice. I have honestly yet to meet one single person there with a bad attitude. I booked into my hotel and found my room again like last time to be spotlessly clean, fresh smelling and tidy and super comfortable with all the things you could possibly need. The following day I got the free shuttle to SMG (you need to ask the front desk for this but they are always obliging) and was greeted by the very same extremely warm and welcoming atmosphere that I had seen on all my previous visits. This was great as I must admit that even though I may be considered a veteran to some I still had some nerves flowing, fortunately they were soon put to rest when I arrived and spoke with the SMG staff. Janna came out straight away to say hi and we proceeded to have a long talk about my expectations and my overall goals for the coming surgery. 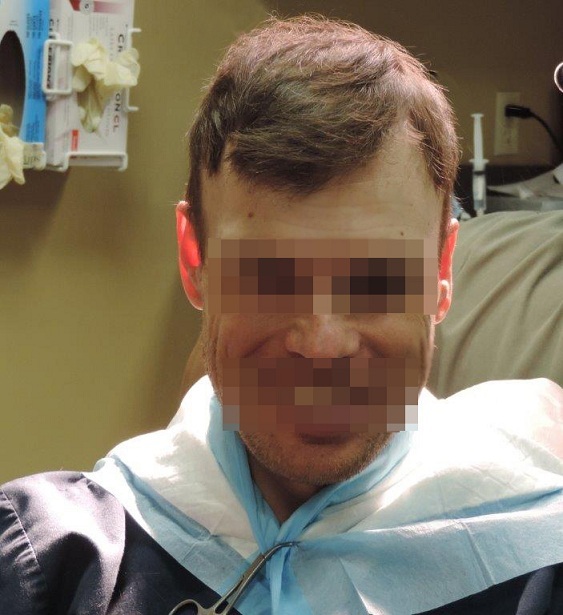 I knew my donor was very limited indeed now due to all my previous surgeries, and especially since so much of it was wasted in the first place through my UK horror surgeries, but I was still hoping we could get around 800 Grafts via FUE. I was hoping to just add a little density to the crown area and place a very small amount of grafts in the temple areas. 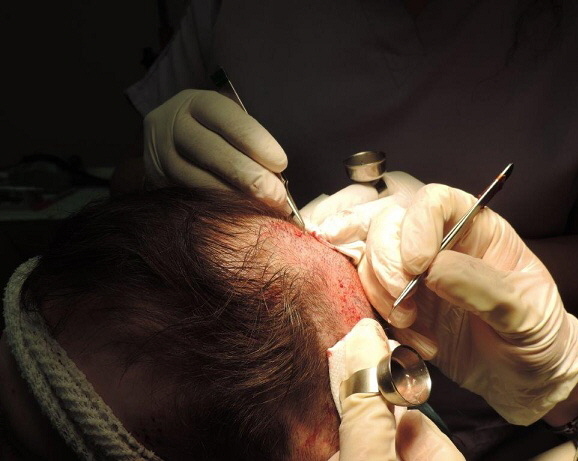 I have to admit that even though I am a big fan of FUT I was excited at the thought of having a different type of surgery, mainly because I have never experienced an FUE procedure before and wanted to know what it was like to undergo both types of surgeries. After I had finished speaking with Janna I Spoke with DR Ron in his office. I must say he was just as I had remembered. He really is a very caring guy who is exceptionally polite and well spoken. He really listens to you In depth and is ever so easy to talk to. He was even concerned and interested about my general health because over the last few years I have suffered from gastrointestinal problems and he was happy to hear I was on the mend. We spoke in detail about what I was hoping to achieve, he then examined my donor thoroughly and said he thought it hopefully would be possible to get around 800. Tom then came by and said hi too which was cool, he was also super nice and very supportive, courteous and very friendly. He also had a look at my donor and agreed that around 800 should be possible which was very pleasing to hear. After we had finished taking pictures and chatting about my own desires DR Ron asked me if I would like to see an SMP procedure which was going on in one of the other rooms. He said he would have to ask the patient if he didn't mind me taking a quick look first, but said that if it was OK by the guy I could observe the procedure for a little while. The patient was very obliging and friendly and didn't mind me having a look at all. 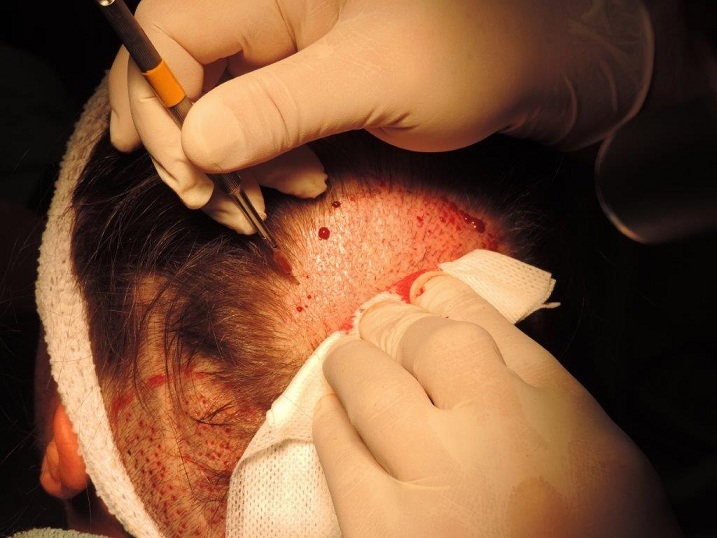 It was great to see because its the first time I have witnessed such a procedure and the part I saw looked really good, so I can see it being a great adjunct to a HT for some wanting to add density or for covering scars. After this I was given a little haircut by such a pleasant young tech who was also a hairdresser, it was cut shorter so that when it was buzzed down the day of the surgery there wouldn't be such a huge jump from my hair being long at the back to being very short and buzzed as this would have been way harder to hide even with a hat. The next day was surgery day and I was so excited I hardly slept. It was so exceptionally warm that day I took a steady walk over to SMG instead of getting the shuttle, it is only two minutes walk from La Quinta and I arrived there for 7.45am. I was greeted by Dal at the desk, he gave me a few forms to fill in and asked me to pick out what I wanted for lunch. He was still as friendly and funny as the last time I met him and we had a good old laugh before the surgery started which put all my nerves at ease. I then was then greeted by Tom who took me into a room to start the ball rolling. He buzzed my hair really short at the back ready for the procedure. Below is a picture of me having my hair shaved. I was then sat in a very comfy surgical chair and asked what I would like to watch on TV. I was spoilt for choice from the vast array of programs and movies they had. They also now had Apple TV which was cool and they let me have a play around with it before the procedure started. I was firstly given some medication and then the numbing injections were started, I was warned that they might hurt a little, but to be honest and in all fairness they weren't half as bad as I expected, and were not too bad at all really and they only lasted a few minutes. After the numbing anesthetic injections the back of my head went nice and numb which was a strange, weird but cool feeling. I was also told that if I could feel any pain throughout the procedure to just let them know straight away so they could instantly attend to it, this was good and very comforting to know. The extraction’s where then started, this part took a while but I could tell it was due to being extremely Meticulous in choosing just the right areas to extract from, so as to avoid the donor looking moth eaten. All the time I could hear the grafts were being counted and they managed to just exceed the 800 mark which was fantastic. There was two very polite tech’s in the same room working under the scopes and it was hard to keep my eyes on the TV at times to be honest as one was absolutely stunning. Overall the extraction part was a breeze and I was just happy sat watching the TV. I was offered regular rest room breaks and given something to drink on more than one occasion which was very attentive of them. To sum up it was a completely painless experience so far and all I knew about the extraction’s was the noise it made to be honest, It was great and I couldn't feel a thing. After the extraction’s were done we broke for lunch and I was allowed to stretch my legs a little. When lunch was finished I was first given some more medication to take. 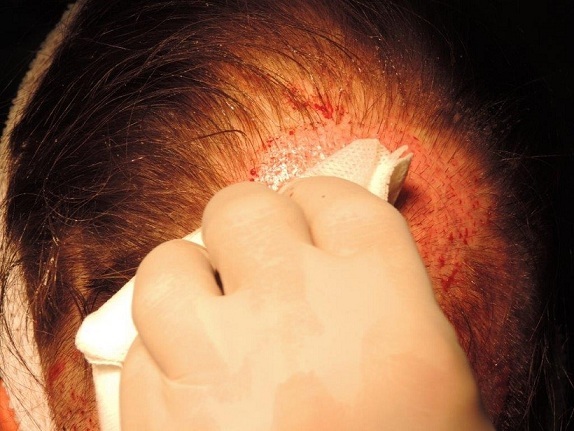 I then had the top of my head and the temple areas numbed. It was a little uncomfortable but only lasted for a few minutes and was not at all as painful as you would honestly expect. When the numbing was completed I really could not feel a thing on the top of my head which was weird but reassuring. DR Ron then used a black pen similar to a kohl pencil I believe to design and draw his plans on the top of my head. He highlighted exactly where he was going to make the incisions and the directions of the crown swirl etc. When he started the incisions I could here the little clicker counting all the slits he made this was so he knew just exactly how many to make and what to save for the temple areas. He kept repeatedly asking if I was OK and if I could feel anything which was very reassuring and made me feel very at ease. The next part was the planting, this again was totally painless and I couldn't feel a thing, the only part that differed from my last experience planting wise was the fact I had to tilt my head to the side to do the temple areas which were done last. When the planting was finished I was asked if I felt OK, to be honest I felt great. I was then shown all my pre op instructions carefully by Tom, he went over everything in great detail with me then asked if I had any questions. He also gave me an aftercare/preop package with all the info I needed inside, to take back to my hotel. I was then given a familiar bandana type hat by Janna like I had on my previous visit. This was because the cap I had was a little small and we didn't want it to catch the temple areas and spoil anything. I was then offered another drink and told I could come back the day after for a shampoo. I said my goodbyes and the receptionist ordered me a shuttle bus to take me back to the hotel. To some up my FUE surgery I would say it was a very pleasant experience with the only slight pain being the anesthetic, the staff as always were very attentive, very caring and very friendly. I honestly felt like I was part of the royal family the way they cared for me the whole day. In the aftercare bag I was given some pillow protectors for the hotel and told I needed to sleep propped up on top of two pillows at first. So I covered my Pillows with the protectors and for added security I used my trusty soft travel pillow around my neck as well, to prevent me rolling around in the night. I slept very well that night with no pain whatsoever, which I must admit was a little weird because having had FUT surgery before I was expecting at least a little discomfort, but nope nothing zero pain. 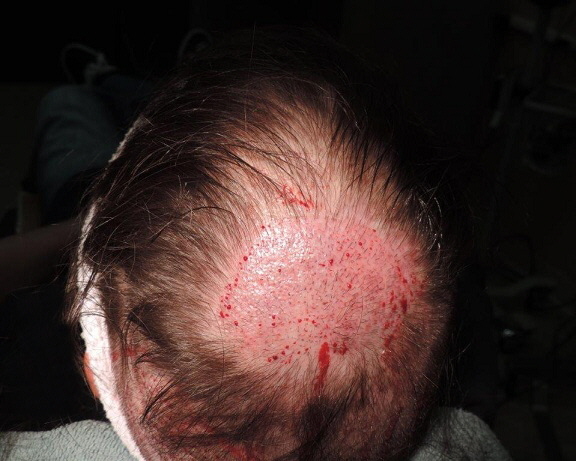 The following day I went for a shampoo in the morning and Tom washed my hair for me and showed me exactly how I should wash the donor area properly when I get home as the donor can get a little scabby if not done correctly. He also tidied up a few more of my longer bits on my hair which I was very grateful for. The following day I went to SMG for another hair wash but was a little early as Janna was in a consult. I sat in the waiting area to read a magazine and couldn't help but over hear Matt Zupan having a telephone consult with some guy whilst I was waiting. I just have to say that I even though I have never personally had a telephone consult with Matt it was evident that the guy knows his stuff, he answered every question in the book to this guy on the other end of the phone, and I was blown away by his professionalism, good manners and HT knowledge, he even recommended to the guy that he should get more consults and named several clinics to consult with which I thought was a nice thing to do and showed that in no way was he pushing the guy into getting anything done. After my Hair wash Janna took some more pictures and we had a chat about what I thought. I just can't stress just how much I think these guys really are fantastic, she even gave me advice on things to see and do whilst in Minnesota. She advised me to go down town and have a look around as the weather was so fantastic and went to the trouble of printing me off a train timetable and map to help. This part may sound a little like I am a travel rep or something but I am going to include it anyway because this is an account of my journey and hopefully it may also help anyone who happens to come to Minneapolis for surgery. 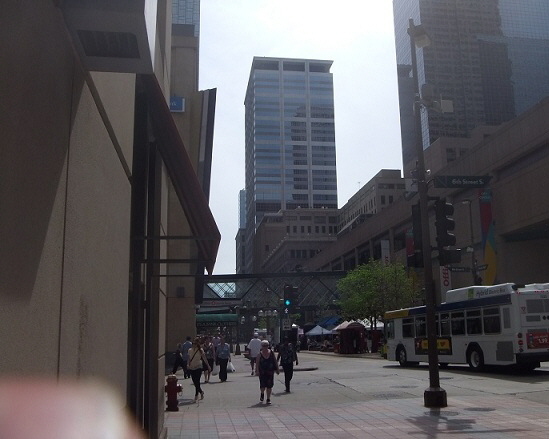 After I left SMG I caught the free shuttle bus to the Mall of America. Right next to the shuttle bus drop off point they have a light rail train service called route 55. You can buy a ticket for $1.75 from a machine on the platform and the train takes you straight down town. 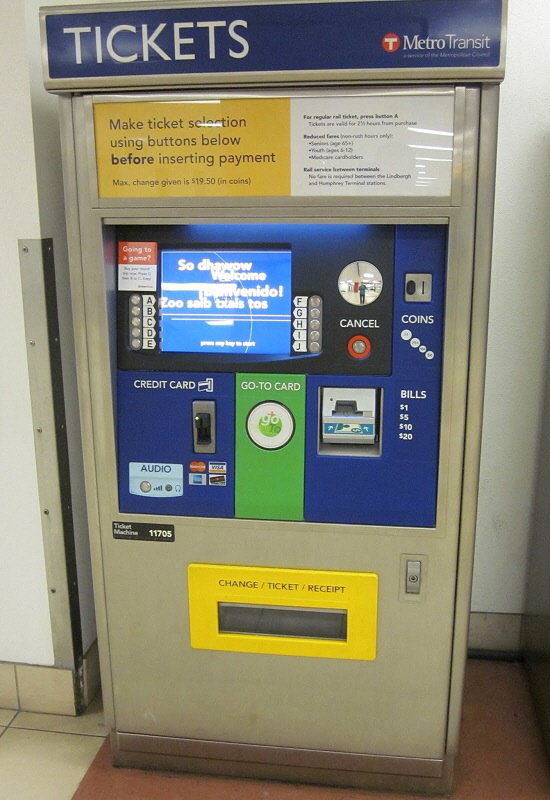 This is what the light rail train looks like and below is the ticket machine situated on the stand. I visited a place called Nicollet Ave. If you are there for any length of time then I strongly recommend visiting the place because it's awesome. The buildings are just so tall it's unreal for a UK guy to witness, and there are plenty of nice places to eat and drink and many great shops. They have some good theaters there too and You could even catch a baseball game whilst in town. 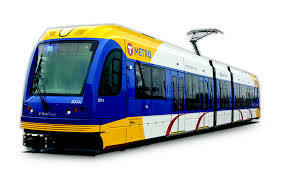 The Light rail is so easy to use it's great and it's so damn cheap that you must take advantage of it to get around in my opinion. If you are coming with family then there’s plenty to do as well the Mall is huge and one of the best Malls I have ever seen, the Nickelodeon land theme park in the center is amazing, although it can take some figuring out as I found when I missed a shuttle due to getting lost when shopping for presents. Below are a few snap shots of the Nickelodeon Land in the Mall I took. There’s also a great water park for the kids in the Radisson hotel that I believe you can buy day tickets for which would be good for the kids, if I had fetched mine they would have nattered the life out of me to go there, as it looks awesome when you pass on the shuttle and see all the water chutes sticking out of the building. To sum up I have loved all my experiences with SMG and now adore Minnesota. Everyone of my surgeries has been exceptional and as silly as it sounds I feel a little gutted it's my last one as everyone at SMG all feel kind of like family now. I do however want to take this opportunity to say Thank you to everyone at SMG for taking such good care of me whilst I was there and I truly wish you all the very best for the future. I know it sounds a little soppy and some might think I’m sad but I’m actually sat here writing this feeling a little emotional. This is for two reasons mainly, that’s because 1) I feel I have made some good friends and been treated with nothing but respect and care but more importantly I know feel I can look forward to the rest of my life in a more positive frame of mind thanks to your help and Hair restoration procedures. God bless you!